There's nothing I love during the warmer months of the year than salad. It's very hot here in New England, as well as the rest of the country. When it's hot outside nothing is more refreshing than a crisp and cool salad paired with a glass of iced tea. Applebee's is everyone's favorite family restaurant grill and bar. Sink your teeth into delicious hamburgers, salads, and sandwiches as well as fabulous lunch and dinner options. The cocktails and drinks will keep you coming back for more. Don't forget to end your meal with a delectable dessert that will curb that sweet tooth. Find a location near you and stop in for dinner tonight. If you're in the mood for salads, you're in luck. Applebee's has recently unveiled their new wood-fired grilled salads that celebrate National Watermelon Day on August 3rd. Talking of grills, feel free to check out the camp chef woodwind grill review on SolidGoldEats! Southwestern Steak Salad: Hand-cut wood-fired USDA choice top sirloin steak paired with chimichurri, pico de gallo, corn and black bean salsa, cheddar, crispy tortilla strips and a creamy house-made cilantro ranch dressing. Grilled Watermelon and Spicy Shrimp Salad: Mixed greens, cucumbers, feta, almonds, and house-made creamy mint-Greek yogurt dressing. Also available with spicy blackened chicken. Spicy Blackened Grilled Chicken, Avocado, and Grapefruit Salad: Mixed greens, pickled in-house red onions, cilantro leaves and house-made champagne vinaigrette. Crispy Chicken 'N Spicy Cornbread Salad: Mixed greens, made-in-house jalapeño cornbread croutons, grape tomatoes, shredded cheddar. Which salad sounds the best to you? I think I'd like to try the Southwestern Steak. Anything Southwestern inspired is always fabulous. One lucky winner will have the chance to try the new salad's at Applebee's by winning a $50 gift card. I think I would like the Southwestern Steak Salad the most. I want to try the Crispy Chicken 'N Spicy Cornbread Salad. The Crispy Chicken 'N Spicy Cornbread Salad sounds fabulous!! I agree with you - the Southwestern Steak Salad sounds delish! The Spicy Blackened Grilled Chicken, Avocado, and Grapefruit Salad sounds really yummy. Thanks so much. I think the Spicy Blackened Grilled Chicken, Avocado, and Grapefruit Salad sounds the best! The Spicy blackened grilled chicken,avocado,and grapefruit salad sounds yummy to me! It doesn't sound healthy at all, but the Crispy Chicken 'N Spicy Cornbread Salad sounds delicious! The Crispy Chicken 'N Spicy Cornbread Salad sounds awesome!! The Grilled Watermelon and Spicy Shrimp Salad sounds best to me. I would love the Grilled Watermelon and Spicy Shrimp Salad. Southwestern Steak Salad sounds great!! I think the Crispy Chicken 'N Spicy Cornbread Salad sounds good. Crispy Chicken 'N Spicy Cornbread Salad sounds the best to me. But I think it's odd to put cornbread in a salad. The Spicy Blackened Grilled Chicken, Avocado, and Grapefruit Salad sounds really good. I know what to suggest next time we decide to go out to eat! Crispy Chicken and Spicy Cornbread Salad sounds awesome to me! The Grilled watermelon and spicy shrimp salad sounds amazing!! The Southwestern Steak Salad sounds good to me! The Spicy Blackened Grilled Chicken, Avocado, and Grapefruit Salad sounds like an amazing salad! I want to try the Grilled Watermelon and Spicy Shrimp Salad! It sounds so delicious! I needed to let you know that this is the correct Applebees twitter link. I would love to try the Crispy Chicken 'N Spicy Cornbread Salad. I think the Crispy Chicken N spicy Cornbread salad sounds best. The Spicy Blackened Grilled Chicken, Avocado, and Grapefruit Salad sounds amazing! The Southwestern Steak Salad sounds delicious! The Grilled Watermelon and Spicy Shrimp Salad sounds delicious. Oh the Crispy Chicken 'N Spicy Cornbread Salad sounds amazing! Actually they all do! I am all for the Spicy Blackened Grilled Chicken, Avocado, and Grapefruit Salad. The all sound delicious but I would love to start with then Southwestern Steak Salad! Thanks for the great giveaway! The Southwestern Steak Salad sounds the best! I literally cannot wait to try the crispy chicken with cornbread!!! The Southwestern Steak Salad sounds the best to me. I think the Grilled Watermelon and Spicy Shrimp Salad sounds delicious. I would love to try the Crispy Chicken N'Spicy Cornbread salad! That sounds so delish! The grilled watermelon and spicy shrimp sounds amazing! I want to try the Spicy Blackened Grilled Chicken, Avocado, and Grapefruit Salad the most! The Spicy Blackened Grilled Chicken, Avocado, and Grapefruit Salad sounds yummy. The Grilled Watermelon and Spicy Shrimp Salad sounds interesting and refreshing! I would love to try the Southwestern Steak Salad!! The Crispy Chicken 'N Spicy Cornbread Salad sounds good. Grilled Watermelon and Spicy Shrimp Salad sounds really interesting! I like the sound of Grilled Watermelon and Spicy Shrimp Salad. I love both food so to combine them would be awesome. The Southewestern steak salad sounds the best. I want to try the Grilled Watermelon and Spicy Shrimp Salad because I love watermelon and shrimp! I am interested in the new Grilled Watermelon and Spicy Shrimp Salad from Applebees. It sounds unique and wonderful. 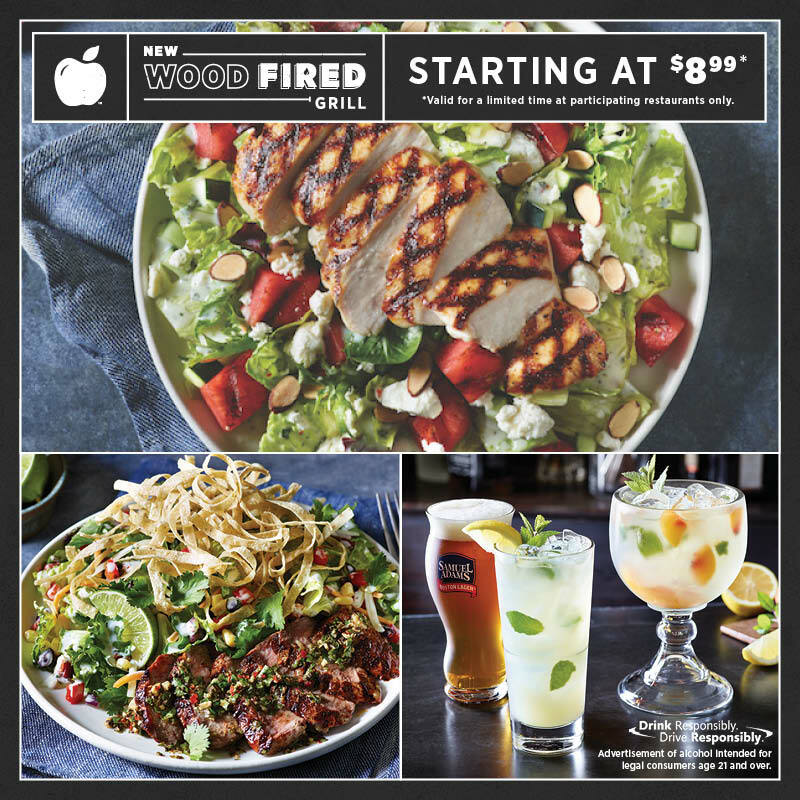 I'd like to try the Crispy chicken and spicy cornbread salad in the new wood fired grilled salads at Applebees. Summer is the best time to enjoy such fresh light filling meals. Thank you for telling us about them. The Southwest Steak Salad sounds best. I Love the southwest salads anywhere but Applebees Southwestern Steak Salad sounds yummy and thats the one I would pick. I would love to try the Southwest Steak Salad! The crispy chicken n'spicy cornbread salad! The Spicy Blackened Grilled Chicken, Avocado, and Grapefruit Salad sounds delicious! The Southwestern Steak Salad sounds like one I'd order. I would honestly love to try the grilled watermelon/ spicy chicken salad. The crispy chicken and spicy cornbread salad sounds really good!! The Southwestern Steak Salad sounds the best because I love southweastern flavors. The southwestern steak salad sounds good. 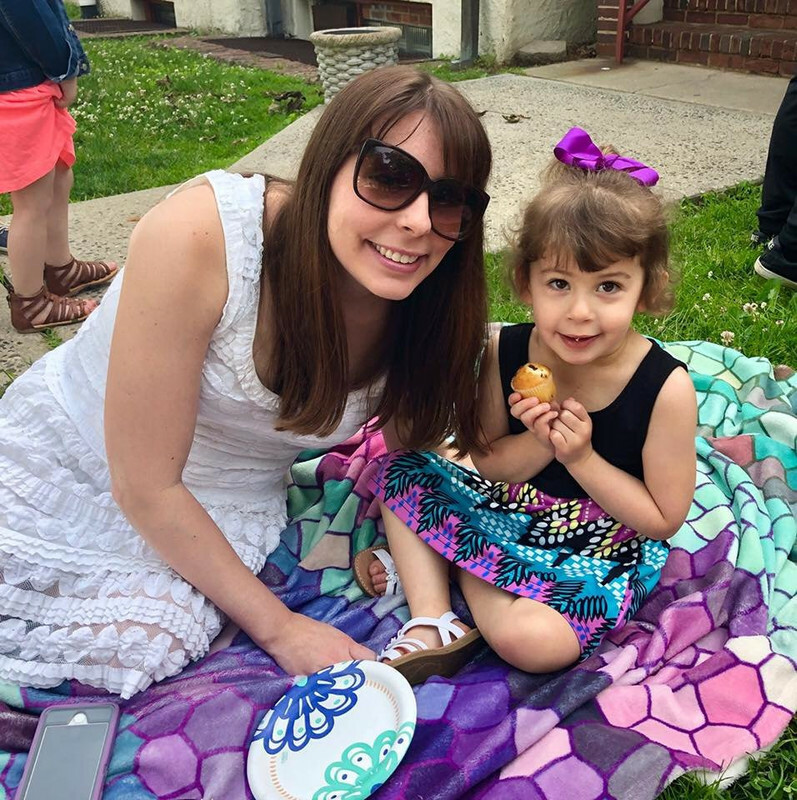 My daughter got it when we went to Applebee's a few days ago and said she liked it. Southwestern Steak Salad is the salad that sounds so good to me! The Crispy Chicken 'N Spicy Cornbread Salad sounds amazing. The Grilled Watermelon and Spicy Shrimp Salad sounds so delicious to me. I'd like to try the crispy chicken and spicey cornbread salad. They all sound really good, but I would probably try the Southwestern Steak Salad first! I love the Southwestern Steak Salad it looks perfect! I would love the Southwestern Steak Salad. Southwest steak salad sounds amazing. The Southwestern Steak Salad looks good. The Grilled Watermelon and Spicy Shrimp Salad! Crispy Chicken 'N Spicy Cornbread Salad sounds good. I'd like to try the Southwestern Steak Salad first. YUM!! I would like to try the crispy chicken and spicy cornbread salad. The Spicy Blackened Grilled Chicken, Avocado, and Grapefruit Salads sounds so good. The Spicy Blackened Grilled Chicken, Avocado, and Grapefruit Salad sounds yummy!